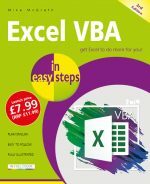 RRP £10.99 each - buy both books together for only £15! Arduino in easy steps is for anyone wanting to get started with Arduino - the popular circuit board that allows users to build a variety of circuits. For artists, designers, hobbyists and anyone interested in creating interactive objects or environments. An online community, connecting thousands of people with others to contribute and ask for help with projects. Arduino in easy steps begins with an explanation of what Arduino is, why it came into being and what can be done with it. We see what is required both in terms of hardware and software, plus the writing of code that makes it actually work. The Arduino environment has to be installed and set up on the user’s computer and Arduino in easy steps provides full instructions for doing this with all the operating systems – Windows, Mac OS X, and Linux. 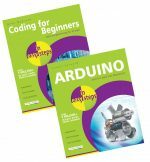 The book explains what tools are required to build Arduino projects and also runs through certain techniques, such as soldering, that will be needed. 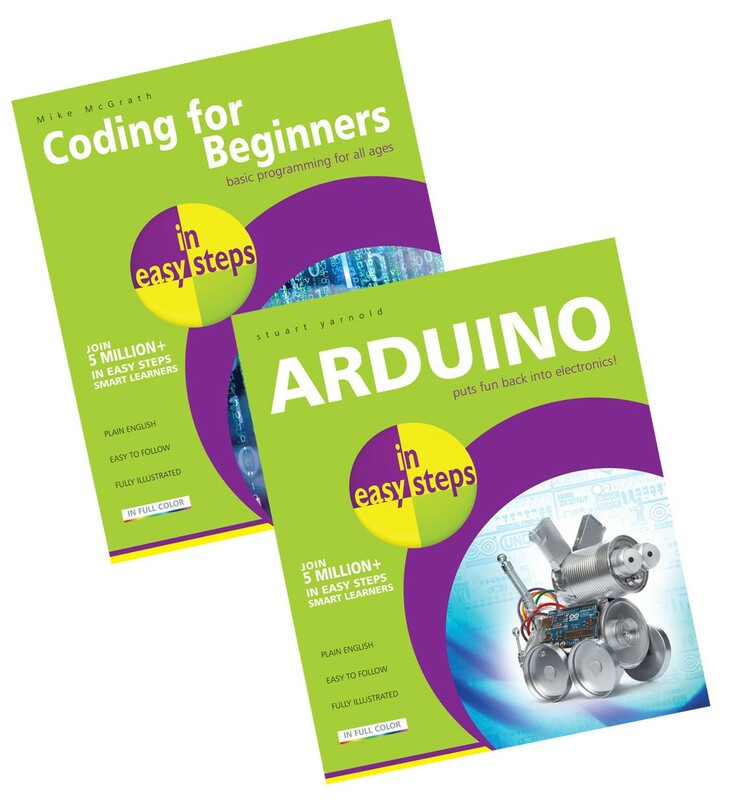 Arduino in easy steps then provides a primer in basic electricity and electronics, which will help the reader to understand how electronic circuits work and how to build them. 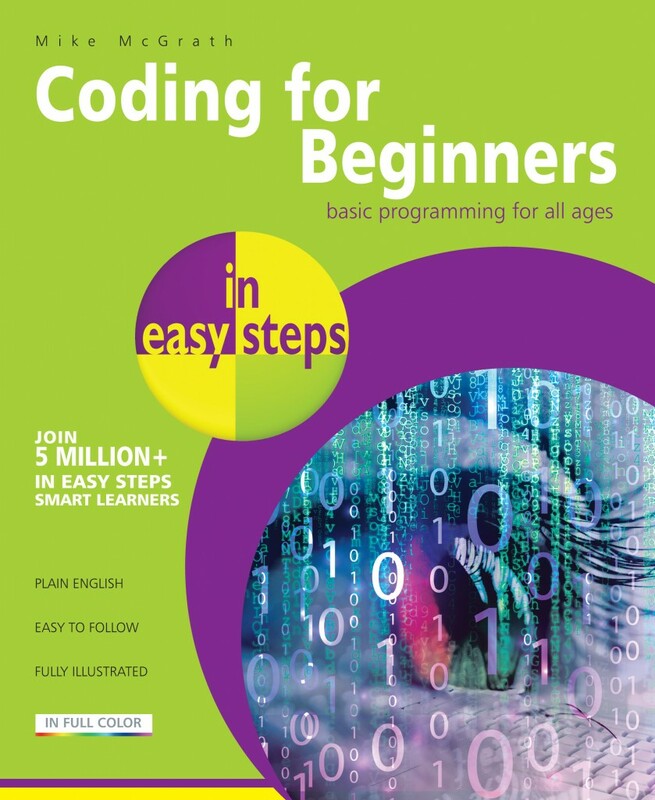 This is followed by another primer, this time on how to write the code that will enable users to program their projects, plus how to debug that code. To illustrate how to use Arduino, there is a chapter detailing a number of typical projects. For each of these projects, the required components, the schematic diagram, and the code are provided. The book also takes a look at how to extend the basic Arduino board with the use of shields. These enable the user to construct larger and more complex projects. 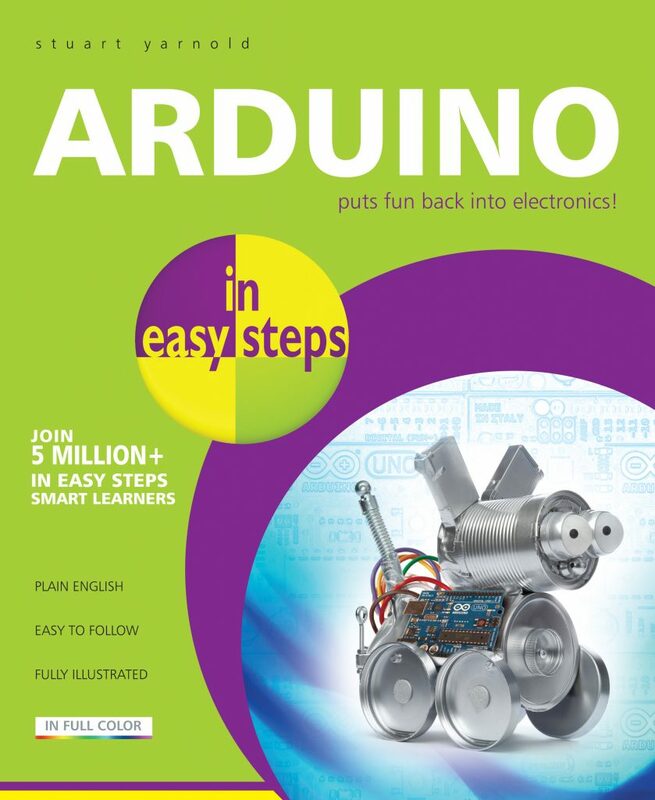 Finally, Arduino in easy steps details where the reader can get further information and help on Arduino, advice on how and where to buy Arduino and other required electronic parts, and where to find ready-made code that can be freely downloaded.